YOUR SAP WAREHOUSE MANAGEMENT (WM) AUTOMATION PROJECT! The CFO was nervous! Operations were panicking! How big was this inventory write-off going to be? Year-end bonuses were in jeopardy and stakeholder’s jobs could be lost! Paul was brought in to fix the Warehouse Automation Project. He was the leader they needed for this project: he should have led the project in the first place! He was bright, fair, respected, and had worked in the company for 20 years – management and operations trusted his judgment. The inventory shortage problem surfaced when they started doing their quarterly cycle-counts at their Southwest warehouses. The smallest differences were around 10%, with some locations having as much as a 30% gap: the quantities in the bins did not agree with their SAP system. • Internal Warehouse Movements and Processes. A team was formed to evaluate the warehouse locations, current practices, and finally choose a WM Automation software package. It was like opening Pandora’s Box. No two locations had the same layout, work practices, and procedures. The project team chose a bolt-on package, and the investment was less than they had expected. The team elected to move forward and customize the mobile software rather than harmonize the SAP WM process. The emphasis was on laying out the screens on the mobile platform in a WYSIWYG format. The problem, you can’t harmonize business processes just through a common screen layout – Mistake #1. The software did what it was supposed to do, build a flexible, easy-to-use front-end, but the software companies consultants didn’t know SAP. But they gave their best effort to integrate the data. Mistake #2! When items were taken out of inventory to fulfill a Sales Order, it was done manually. The inventory was relieved from stock after the truck had left. The updates were only performed periodically throughout the day. No one trusted the numbers in the system. Mistake #3. When the next order that selected those items couldn’t find them, the warehouse handlers fulfilled the orders from other bins and locations. It was with good intention, but with horrible results. 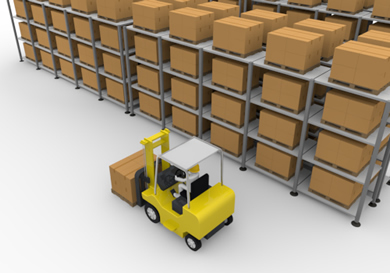 The warehouse teams chalked it up to business as usual, but no one could begin to imagine the snowball effect on the inventory counts. 3. Integrate the front end mobile app with back-end SAP. During their investigation, the SAP WM system, while not optimal, was performing as designed and configured. The primary culprit was the mobile software. It did not send correct information back to WM. Paul had to rip the bandage off and start all over! No one liked the decision, but when the steering committee evaluated the alternatives, this made the most sense. The key takeaway and lesson learned from this experience – UI/UX is important, but only one part of the solution. A pretty screen without tight integration is a recipe for lost bonuses and jobs as well as late nights and overbudget projects. Titan Consulting and their Titan Software’s Warehouse Management solution, easyShip® addresses all the checkboxes for your mobile warehouse environment on SAP. • Updates back-end integration and synchronization with Warehouse and Inventory Management View real-time integration. • And more features that streamline operations and control inventory. • HTML5 technology to design the ultimate UI/UX work experience. • Shipping Calendar: Assists you in scheduling time and resources. Paul and his team have many months of work to do before they can untangle their Warehouse Automation Project, but they now have a clear path to the right solution. We will continue updating you with Paul’s progress with this project in the next few months. If in the meantime, you have challenges in your Warehouse Automation Project or you are planning a new project and need assistance, Titan Consulting is here to advise and guide you on the right mobile and warehouse automation strategy for your company. Contact David Geaslen at 832.422.3251, or david@titanconsulting.net; or contact your Titan Sales Director. December seems to be a good time to reflect on the past year and start making plans for the coming year. I believe we are conditioned to that at a young age with the idea of New Year’s Resolutions. In reality, moving from 2017 to 2018 is just the passage of time through a linear path, but we look for a “reset” each year when we start again in January. 2017 has seen its challenges on many fronts, including natural disasters that affected many people. It is reassuring to see how as a society, we put aside other differences and help our fellow man in times of need like this, and I pray that those affected continue to recover and see a much better 2018. From the business side, we see 2018 as an exciting year. More projects are being planned, and it appears that companies are seeing more and more how IT can enable the business to be more successful and competitive. At SAPPHIRE NOW 2017, SAP unveiled technology that just a couple of years ago seemed like it was years in the future. Now, with HANA, SAP Leonardo, and the continuation of IoT technology, the advancement of business solutions will progress at speeds we have not witnessed before. It will be very interesting to see how technology advances business as well as things in our everyday life over the next few years. I am reminded of how much advancement we’ve seen in the last 20 years when my kids ask me what kind of cell phone I had when I was a kid. I explained that I didn’t get my first mobile phone until the 90’s and then it was a ‘bag phone’ and then a ‘candy bar phone’ and they were AMAZING! Now we have a computer that we carry in our pocket (or on our wrist for some people), that continues to progress and lessen the need for a computer on your desk. As businesses look at how this new technology fits into their landscape, they are still evaluating it for ROI. It only makes sense to look at quick ROI projects first when technology is advancing so rapidly. Don’t forget to just look for all of the new technology for high ROI projects. 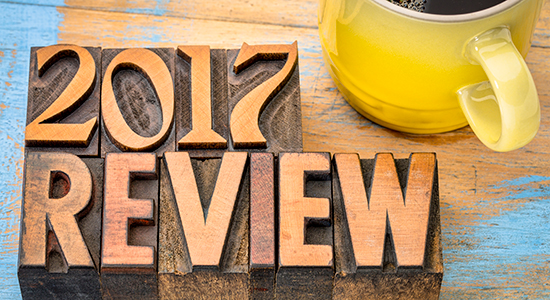 Over the last several years, many companies have shelved projects that may need another look now. The technology and ROI may now justify those projects. • Reviewing business needs that may be able to be streamlined with Mobile or Web-based Solutions. Reducing TCO continues to be a primary focus of our services in 2018, as we deliver high ROI solutions to our customers. We would like to thank all our clients, partners, consultants, and friends for your continued trust in Titan. It is because of you and your trust in us that we come to work with passion and enthusiasm to support you. We look forward to 2018 to unleash the power of together® and to deliver solutions that help grow your business and realize the full potential of your SAP investment.